Happy Friday, everyone! 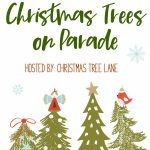 Today my blogging friends and I are joining together and to share our Christmas trees with you. 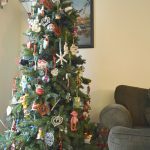 In this post I will share photos of my Christmas trees (I have two). 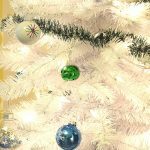 At the end of this post, be sure to click on the thumbnail photos to see all my friends’ beautiful Christmas trees, too! 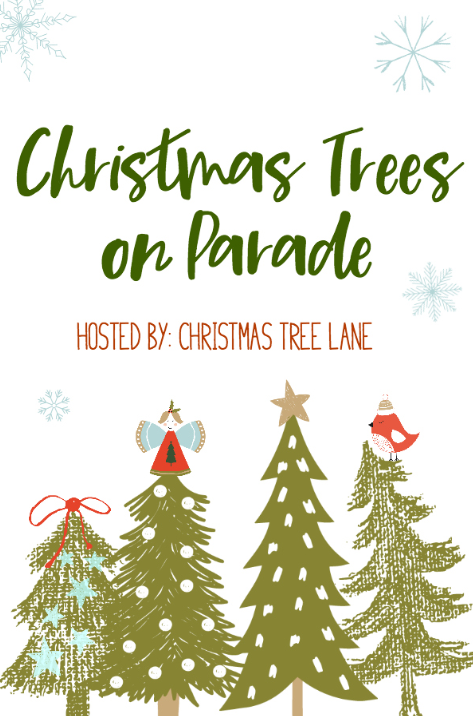 I would like to thank my sweet and talented blogging friend, Terri Steffes at Christmas Tree Lane, for hosting this blog hop. 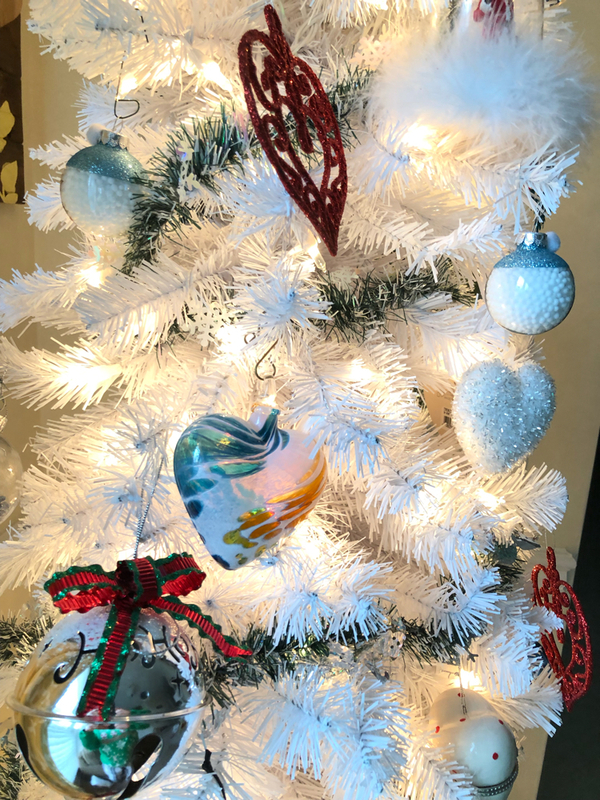 Two Christmases ago, Treetopia gifted me with a white Christmas tree. Being a traditionalist, my husband isn’t much fond of the tree. My daughters and I love it! The tree is perfect for my home’s small living room. It is called a “pencil” tree and can be tucked into a corner. I love this tree because it comes in three pieces, is pre-lit and can be assembled in a matter of minutes. 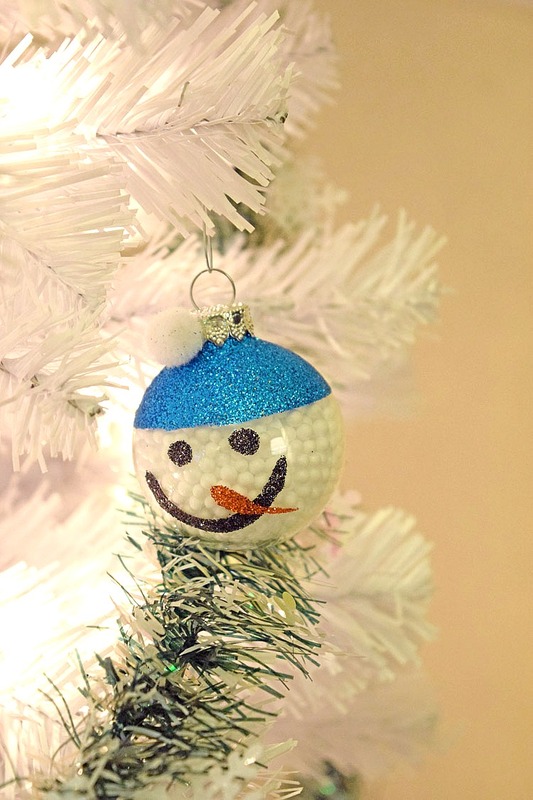 When I got the tree 2 years ago, I decorated the tree in a blue and white snowman theme. This year I’ve added some of the ornaments that I’ve collected over the years to the tree. 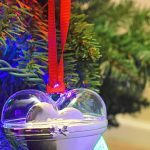 My husband gives me heart ornaments every year for our Christmas tree. He also gives ornaments to each of our twin daughters. It’s gotten to the point that we don’t have enough room on our family tree for all our ornaments! So, I moved most of the heart ornaments to the white Christmas tree this year. Tip: When you have more than one Christmas tree, it’s helpful to pack each Christmas tree’s ornaments, garlands and lights in its own clearly labeled box. 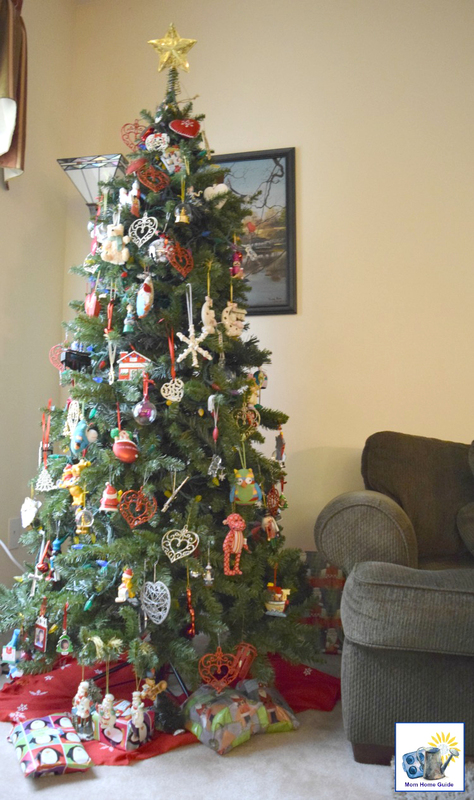 Having a second tree that is easy to assemble is fun — it gives you an option to have a “theme” tree in addition to a family tree where you put all your sentimental ornaments. I like the new bright and colorful look of the tree! My pup Mochi, who is new to my family this year (and is barely over a year old), decided to be a part of the photo, too. The tins under the tree are for my daughters. I like to give them small Christmas advent / countdown gifts each day for a few days before Christmas. The gifts are often things they can use, like socks, or pens for school. I do throw some candy in the tins now and then. 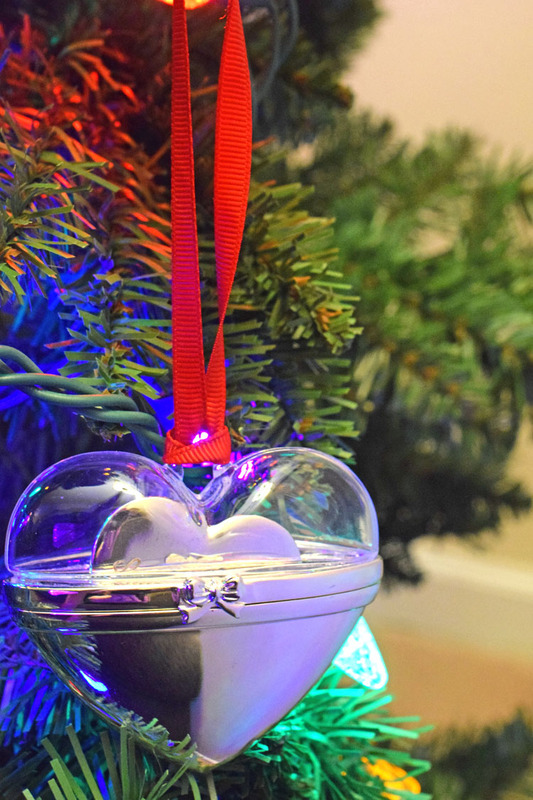 Here’s a closer look at some of the heart ornaments. In my home’s family room we have our more traditional Christmas tree. On that tree are the other Christmas decorations that my family has collected over the years, as well as my daughters’ Christmas ornaments. This is a look at one of the sweet heart ornaments my husband gave me a recent Christmas. 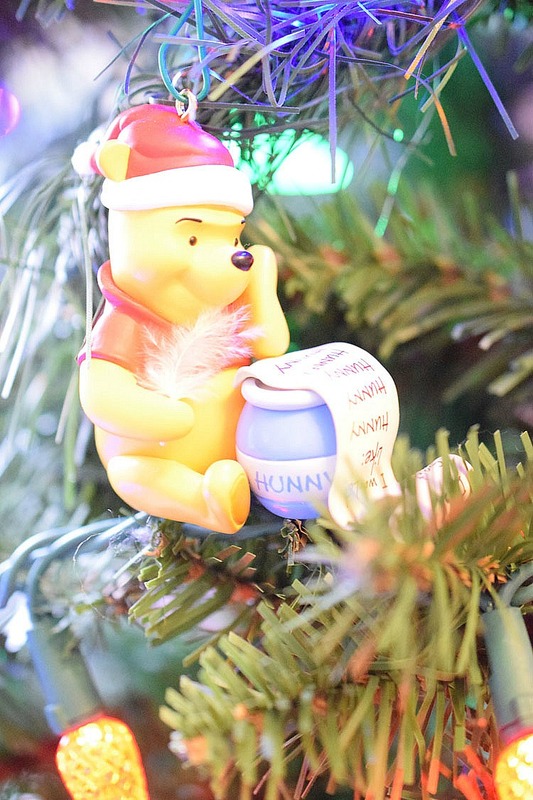 The ornament below is one of my daughters’ ornaments from my husband. 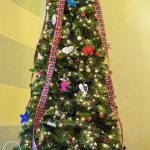 Be sure to check out my friends’ Christmas trees, too! Happy holidays! 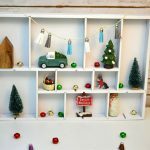 I love your ornament story! 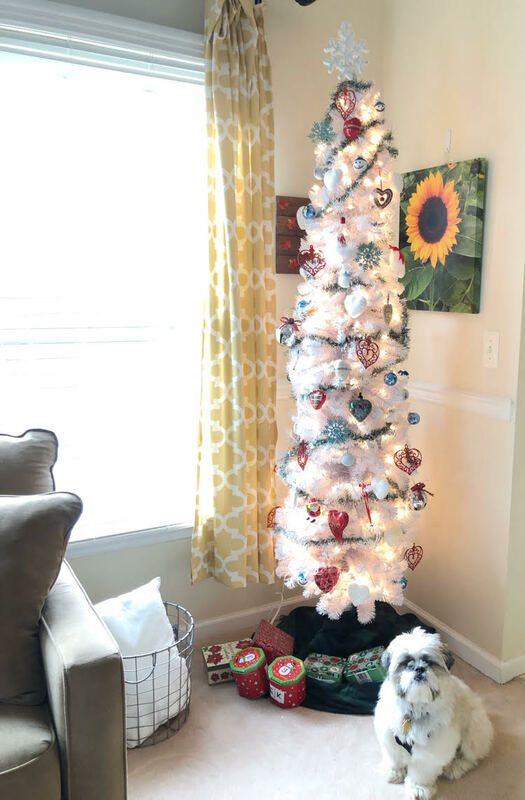 The white tree is fabulous, but the dog took my breath away. What a sweetie! Thanks for participating! I should get a pencil tree in our family room, but ughhh! I feel like I have so much Christmas decor to put up already! It’s such a nice size, tho! I love that it is white! I’ve been wanting a flocked tree! That heart ornament is so pretty!